Reach Productions LC - Walter Klassen's - "Vehicle Mount"
Walter Klassen's - "Vehicle Mount"
The Walter Klassen "Steadicam Vehicle Mount" is ready for any vehicle including our custom "GATORCAM". It is considered the "ROLLS ROYCE" over the many variations of other manufacturer﻿s of vehicle mounts for Steadicam currently in use. The end block can angle up to 40 degrees for perfect balance. We do not have or own Steadicam equipment. However, we do have a list of Steadicam operators for referral that we have worked with which they can gladly work with you and your project. 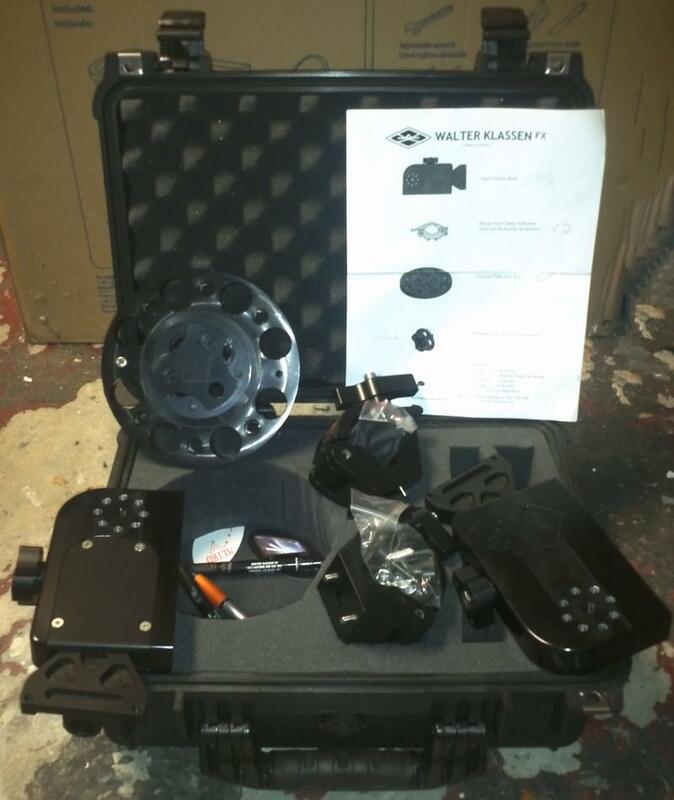 Straight from Walter Klassen’s website: The "Vehicle Mount" allows a Steadicam rig to be mounted to nearly anything. The included Mitchell plate and clamps to facilitate easy mounting by a number of different methods. One of the only mounts available with end block tilting, Walter Klassen’s "Vehicle Mount" can tilt up to 40° to help you stay balanced.